Do you want to insert a trail from you or another user to your Web page or Blog? On the right-upper side of any route page, you will see a button to share a trail, click it. Some sharing options will display: Facebook, Twitter, Google + and another one named HTML (with this one you can insert a route on your Web), click on it. An "<iframe ..." code will show. Copy & paste it into your Website's HTML code to insert the map of that route. Show: Title, measures and elevation profile, location, and photos. 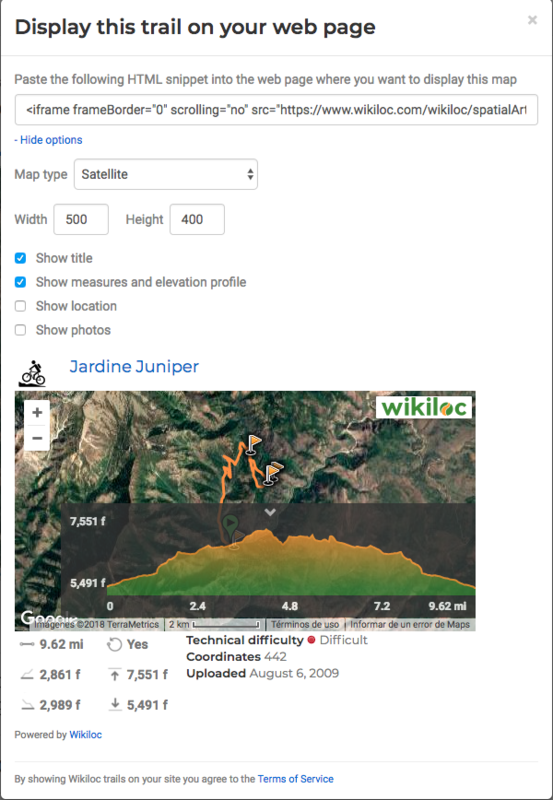 Share a Wikiloc trail in a different format?